I have a bit of a crush on banners, specifically banners with words on them. I have already made a happy birthday banner inspired by this sweet banner for you know, birthdays. And even though Christmas is technically Christ’s birthday – or the day we celebrate it – I didn’t feel like that fit the bill for a Christmas banner. 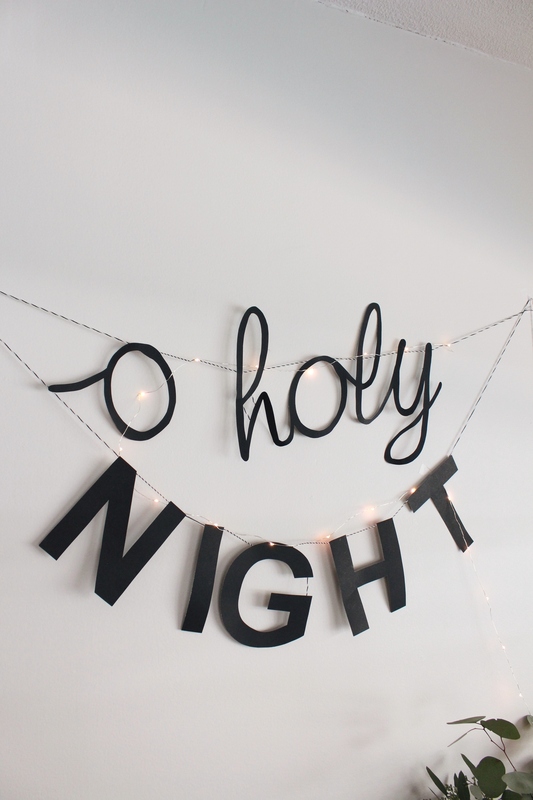 O’ Holy Night definitely fits the bill. There are also a ton of other sweet sayings that could be used as a Christmas banner; oh come Immanuel, joy to the world, peace on earth, fa la la la la… you get the idea, right? I used Gimp to type out each letter, then held a piece of loose leaf paper up to the screen to trace the letter. I then cut out the letter and traced that onto black posterboard, which was 70 cents at the dollar store. I used the font Freehand591 for the cursive and Arial for the type font. After every letter was cut out, I lined them up how I wanted them and glued them to baker’s twine. 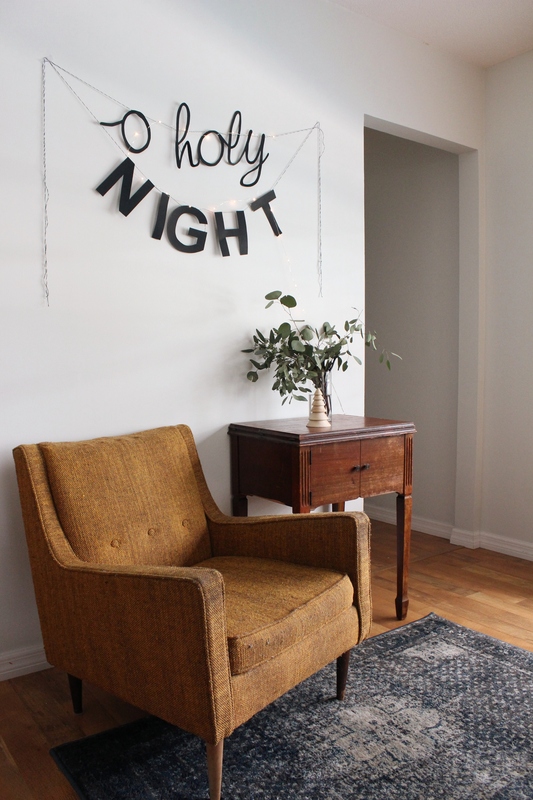 Remember to leave enough extra twine on each side of the words for hanging. You can easily cut off excess twine but it’s more difficult to attach more twine. With the addition of LED lights on the tree branch, a garland and little candle houses, I think our house is really shaping up in the Christmas decoration department. What are you doing for decoration this year? Are you keeping it simple or do you like to put a little bit of Christmas everywhere?